Our overnight guests enjoy private sleeping quarters constructed with solid partition walls that provide privacy and safety. All of our sleeping quarters are heated to keep our guests warm and snug in the winter, and air-conditioned to keep them cool in the summer. All guests have their quarters cleaned sanitized daily, and their pillows fluffed twice daily! You are welcome to bring a dog bed from home if you would like. We only require that it is an appropriate size to be cleaned in our washer and dryer. We also suggest that you bring your dog's own food so that their diet stays consistent. Please make sure that your name is marked on all of the items you bring with your pet. If it is more convenient for you, we do offer the Science Diet adult formula for $4 per day for each individual dog. All of our overnight guests are welcome to play with our daycare dogs (If they meet the requirements below). They have full access to our indoor and outdoor play areas and can run, jump and play all day. Then at night they retire to their own private sleeping quarters. We believe that a tired dog is a happy dog. Non aggressive and friendly with other dogs. Spayed or Neutered by 8 months of age. 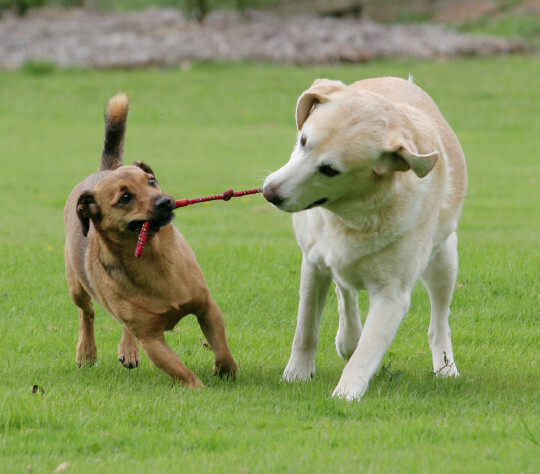 If your dog hates to be left home alone, or simply can’t get enough play time, bring them in for Day Care! All Day Care dogs are free to run and play all day with our overnight guests. They all have great dog interaction plus constant supervision. 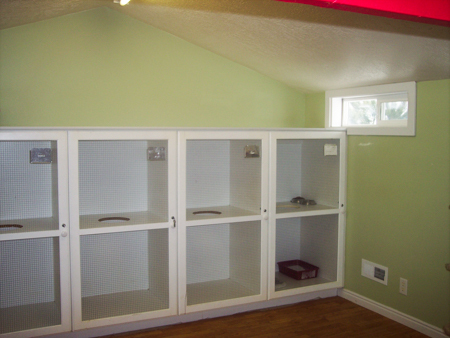 Our open indoor playroom is equipped with climbing equipment, their own television, and music! Right through the door they can enjoy our outside play yard as well. You are welcome to drop off your dog for the day while you are at work, or you can drop off for part of the day while you run errands or go shopping. We offer Day Care five days a week, Monday through Friday. Monday – Friday drop as early as 7:30 AM and pick up by 6:00 P.M. Dogs not picked by 6:00 P.M. will be fed and boarded for the night ($29). Coombs Kennels has a staff of experienced and professional groomers who are ready to make your dog look their very best. We love helping dogs stay clean and happy with our grooming service. We offer breed-standard professional grooming, for all makes and models. Our Groomers truly are the best. 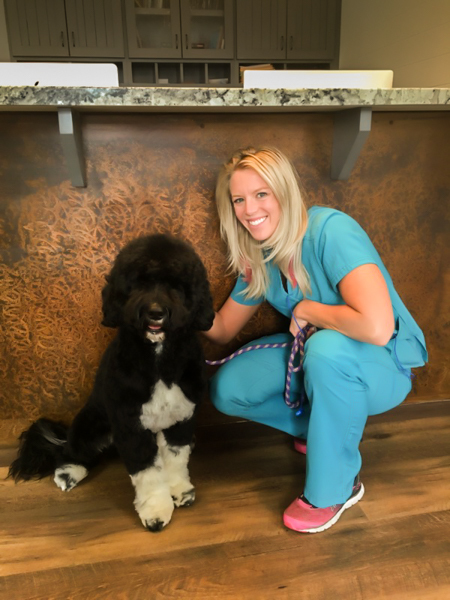 We ask that you check in for grooming between 7:30 and 9:00 AM, and we will call you as soon as your dog is ready for pick up. Please call for an appointment or price quote. Quotes may increase based on temperament and matting. Riffle loves his spa days with Lauren! All cats stay upstairs in an area separate from our dogs. They have their own room with plenty of toys, tunnels, and scratching posts; and lots of places to climb. 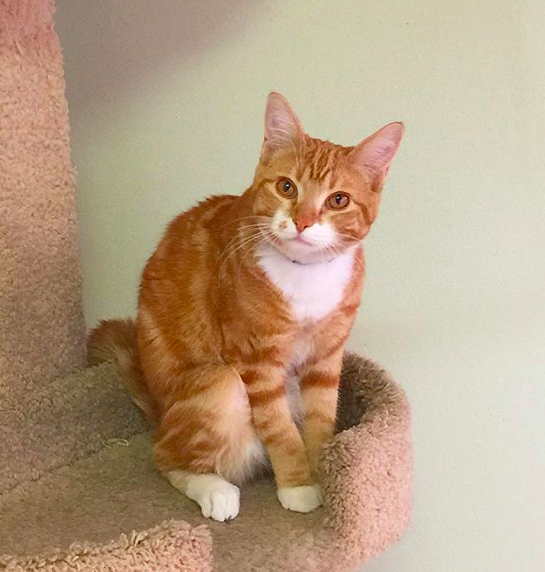 If your cat is social (most are) he/she will be out of the kennel for the day to stretch and play. 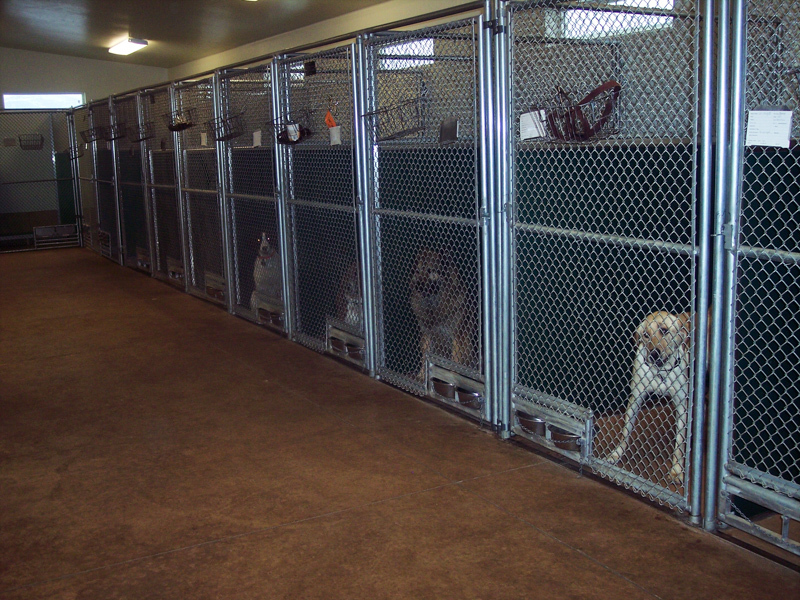 At night we tuck them into their private kennels for a peaceful night sleep. Most cats have their own favorite food that you are welcome to bring, or we can feed the kennel diet. Feline Leukemia, CVRC & Rabies vaccinations. Cats must arrive in a carrier.